Missions are a series of films of expeditions to awe inspiring environments. 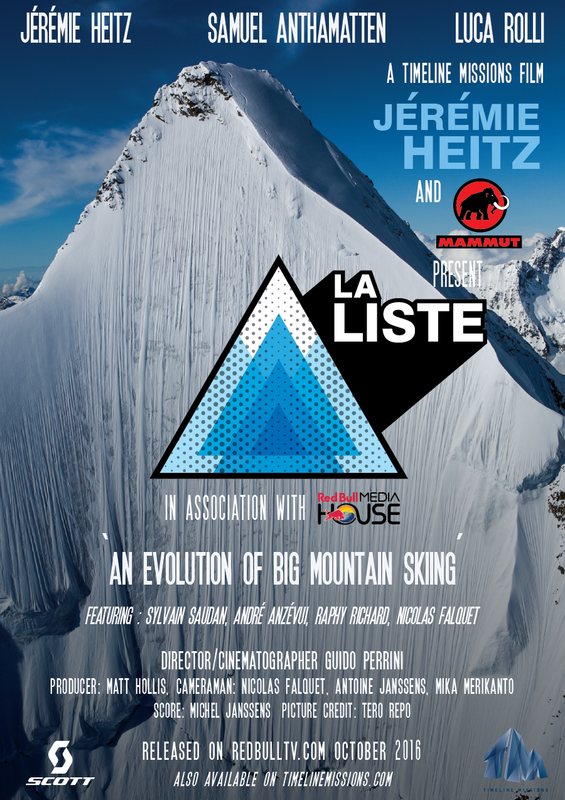 The ski and snowboard action films, sponsored by North Face and Swatch see Xavier de le Rue and other well known athletes taking the sport to the extreme whilst demonstration their passion and respect for the terrain. The films are available to buy or rent through iTunes and Vimeo. A film which mixes hair-raising action footage of leading freeriders with a story of adventure and discovery. World-renowned freeriders Xavier De Le Rue, Samuel Anthamatten and Ralph Backstrom progress the sport of freeriding through the use new technology to scope remote areas in order to show ski and snowboard action in a way never seen before. Xavier de Le Rue and Sam Anthamatten are known for bringing speed and fluidity into the big mountain environment. Following Mission Antarctic, Mission Steeps is the second chapter of the Mission Series. Follow some of the most progressive riders on their way to re define steeps riding on breathtaking terrain and challenging conditions. Mission Steeps is not only a quest to the most radical terrain but also a journey and documentary on how they get there and their singular approach to the mountain. One year in the making, Mission Antarctic is a journey of snowboard exploration. Team snowboarders Xavier de le Rue and Lucas DeBari will set sail from the Falklands, through the Drake Passage and around the Fjords of the Antarctic peninsula in search of the best lines to ride on the continent. Ice or snow, Xavier de le Rue best sessions. “At this time of the year last season, with my friends Guido, Tero and Matthieu we’ve decided to create our own movie production company called TimeLine Film.